Most businesses treat customer retention like a giant elephant in the room that should be avoided and rarely if ever talked about. With the continual cost of new customer acquisition continuing to rise, it’s baffling as to how few sales people, businesses and non-profits make customer retention a major priority within their marketing plan. The customer of today is under continual assault from hungry, and often desperate competitors, that work non-stop on coming up with ways to pick off the business you’ve earned recently and over the years. “But Tony my business is different.” I’ve heard that statement so many times from overly confident business people that I want to laugh out loud because I know it’s untrue. 95% of business boils down to three key ingredients: trust, communication, and relationships. It’s not magic, but common sense which seems to be in shorter and shorter supply these days within most organizations. Here are Three Reasons to Avoid Losing Customers. You may want to share these with everyone inside your organization to remind them that not only do customers sign their paychecks; but that they also impact the company in more ways than most people rarely stop to identify and think about. #1. A lost customer takes their goodwill and referrals with them. We spend a lot of time within these pages and in our monthly audio interviews discussing the power of referrals. Word-of-mouth marketing is the STILL the most potent form of marketing in both the online and offline realms of commerce. #2. A lost customer means lost revenue. I’ve learned this myself the hard way in my business career. When you lose a big client, for example, at renewal time, you have to budget opportunity costs to not only find a new customer to make up for lost revenue, but you also use up valuable mental energy in the process. Lost revenue impacts everything and everyone within an organization. #3. 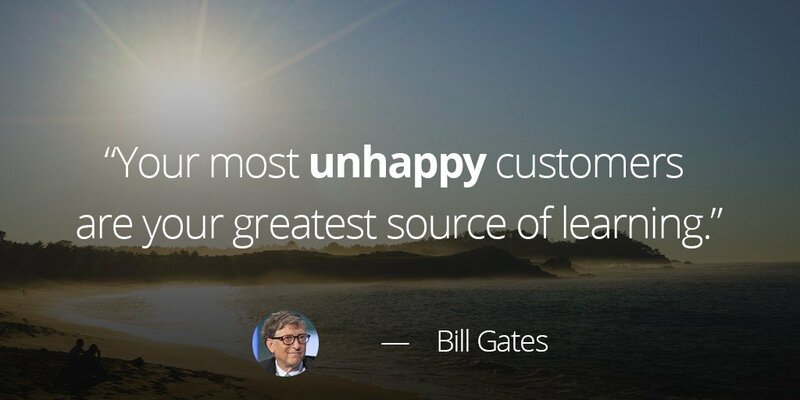 A lost customer can hurt plans for future growth. When a company experiences a down year or less than anticipated growth, the number one thing many of them do (in my opinion one of the dumbest things) is to significantly cut back on their marketing efforts. A retreat and ‘play-it-safe’ plan is put into place which not only limits their ability to move on new opportunities, but also allows a competitor(s) to move in and pick up even more new business.